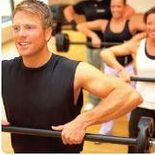 What is Elite Personal Training? It All Starts Here!!! Personal Training is a multifaceted service that provides clients with the education, motivation, focused attention, commitment and accountability, the passion, achievable goals and dedication that everybody requires in order to maintain a healthier and prolonged life. Bottom line is...It should be a lifestyle and that's why we are here to help guide everyone on that path of Wellness, Health & Fitness. Staying healthy is not a challenge! It's a lifestyle. The human body was designed to train. 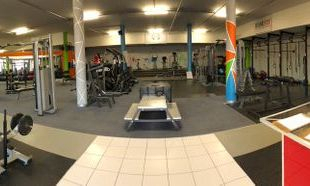 It all starts here with one of our experienced and qualified personal trainers. "You control the weight! Don't let the weight control you!" If it is a quick fix you are looking for then I'm sorry to say, there ain't any. Loosing weight quick will just mean you could put it back on just as fast. - "I will start on Monday?" Have you ever noticed how healthy people have a certain glow about them? Have you ever thought about where that glow comes from? Really thought about it? Sure, healthy eating and lifestyle choices play a part. But the truth is that special glow emanates from within. It is self-pride. It is that sense of achievement, that sense of accomplishment when you look in the mirror and are awed by the results which YOU created. Genuine pride is doing your best ... when no one else is watching! 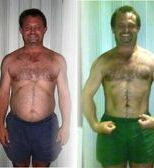 Now that's what it takes to be at the top of your game as an Elite Personal Trainer! If you are a Personal Trainer and you are lacking in one or more of the above-mentioned qualities or values then you need to take a step back and evaluate yourself for the sake of the community that has put their loyalty and trust in YOU! "Changing lives...ONE client at a time through Back-to-Basics Training Modules..."
"You Control the Weight...Don't Let the Weight Control YOU!"